Cleaning of large outdoor areas of your property can be a real challenge if you don’t have the proper equipment. To remove dirt, dust, mildew, grime and mould from different types of outdoor surfaces, such as driveways, patios, exterior walls, stone fences, roofs, decks, side-walks and others, the most adequate option you have is to use professional pressure washing services. Pressure washing is the best method to remove dirt from many sorts of hard surfaces, such as tiles, concrete, stone, wood and others. It uses high pressure to spray water and a special detergent that is applied to the machine. This method is the best way to clean the mentioned types of outdoor areas in an extremely effective way and achieve absolute cleanness. However, pressure washing can be dangerous and requires professional skills and knowledge about the use of the specific sprayer. It is necessary to have the work done by an expert, who can provide the cleaning process with safety and complete the task successfully. Our company has been offering excellent and high-quality pressure washing services for a long time and has earned the respect of many clients from London. 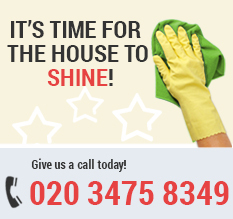 London Home Cleaning cover the whole city and the areas around it. We are professional, experienced, reliable and focused on pleasing our customers. Our cleaning experts have been working as such for many years and have developed the right skills they need to do their job perfectly. 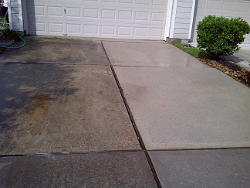 Pressure washing is not something that anyone can do at home. It needs to be done by professionals, who know their job and can guarantee safety. If not carried out properly, the high pressure that is used by this method might damage certain surfaces. Our experts are amazing at their job and can easily clean any type of surface without the risk of a damage. The best solution if you want to provide your outdoor areas at home with cleanness is to use our pressure washing services. We offer a variety of benefits, which make it easy to choose our help. We are available every day, including on weekends. Call us for further information or to make a convenient for you appointment.